Last week trading session ,Bank Nifty futures attracted lot many short term sellers came to compete in the market. Trading behavior was in such a way that most of the traders we dealt with them are mechanical/emotional/price based short term sellers. Especially the emotional sellers shown post the RBI policy announcement are possibly the price based sellers initiated trades based on price breaking down below the previous week low or price testing 50 day moving average on the daily timeframe. 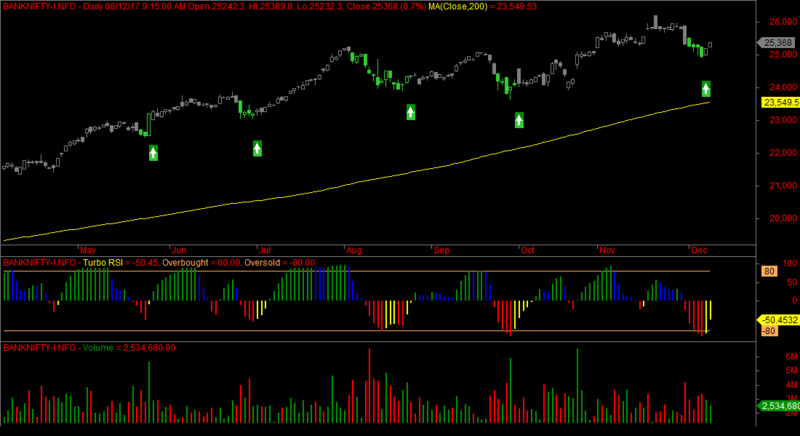 Extreme trend reversal signals are spotted on the daily timeframe. Trading sentiment holds positive for the last two trading sessions. 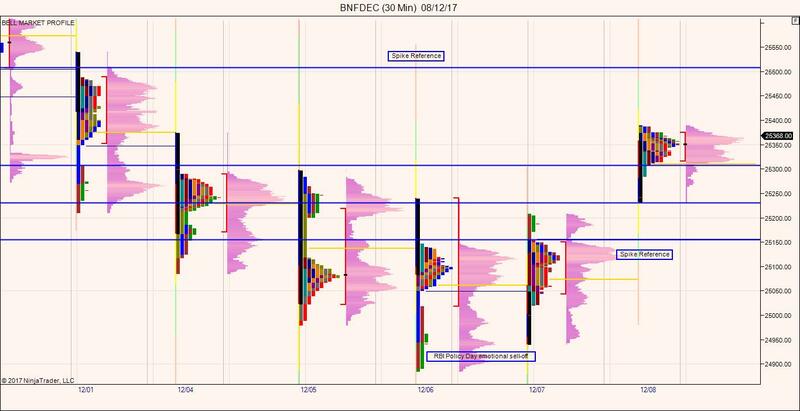 Fridays session is a P shape profile which indicates short covering of some of the market participants since the morning. Confidence of buyers are seen since the open on both Thursdays (though poor structure) and Fridays trading session. Support comes around 25300 levels and short term resistance is expected around 25508. Price testing and accepting above 25508 might bring more fresh money buying in the upcoming session. on the downside 25150 and 25300 will be the short term support zone.